You know that your employees can be your biggest variable when it comes to building a customer's perception of your business. Ensuring they are well versed in your company's mission, vision, values and goals is critical to building a positive brand from the outside in. Customer: What is Do Some Good? 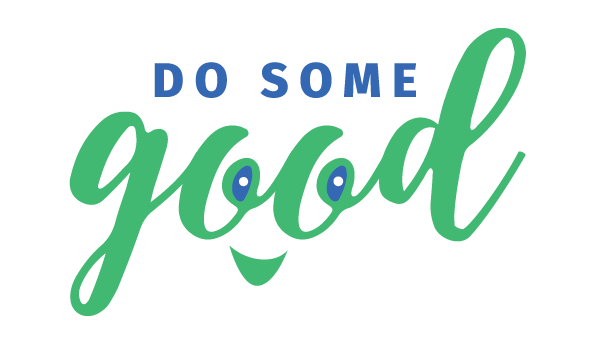 Employee: Do Some Good is a local tech company that has created an online and mobile platform for people, causes and companies who want to make a difference in their community. Companies align their giving with causes their customers care about and engage their employees. Causes raise money and engage their supporters to give back through shopping and volunteerism. And, people explore opportunities to give their time and raise money through their everyday purchases. Customer: I saw your Good Company sticker, card, social media post, etc., what is this all about? Employee: We joined Do Some Good as a Good Company to show that we are dedicated to our local community. We are only as strong as our most vulnerable, and we all benefit when we assist the causes that support them. We believe that business can be a force good, and that in today's world we have to make a difference in our community to really consider ourselves successful. Customer: How does the give-back offer and reward system work? 2. Go to the Offers tab and find our company's offer. 3. For give back offers, take a picture of your receipt (or Offer Redemption Certificate if applicable), enter the subtotal and redeem! For rewards, just press redeem and show your screen to us! Customer: So by redeeming this give-back offer, am I paying more for my purchase? Employee: No. The donation is made based off you purchase subtotal. You pay the same, and we donate a percentage (or fixed amount) of that to the cause you select. Customer: This seems way too easy, what's the catch? Is this another ploy to get my information? Employee: Honestly, no. Our company tracks the causes our customers care about, but none of your personal information is disclosed to us unless you want to connect as a customer. We simply just want to know what our customers care about so we can continue to support what matters most to you. We believe in generosity and want to give our time, money and expertise to causes that matter to our customers. Customer: Do 100% of the funds get sent to the organization I select? Employee: We use Do Some Good to track all of the donations and we pay the money directly to the charities. Customer: I know of an organization that would love to get involved with this. What do they have to do/pay to get signed up? Customer: I know of a for-profit business that would love to get involved with this. What do they have to do/pay to get signed up?